Both teams have 2 games on the week with the varsity getting things started on Monday night as they host TCA. Kick off is scheduled for 6:00pm. The JV get their week going on Wednesday as they take on John Paul II at home kicking off at 5:30pm. Both teams travel to Ursuline Academy on Thursday night with the varsity playing first at 5:00pm with the JV following at 6:30pm. The JV looks to get back to their winning ways with 2 district games on the week while trying to qualify for the TAPPS JV Championships scheduled for Thursday, February 11th. The semi-final matches will be at 9am and 11am with the championship match at 3pm. These games will all be played at Doskocil Stadium. The varsity is 10-3 in district and are currently in 3rd place and will look to improve on that record starting Monday night. It is a tight race at the top with Ursuline at 14-0 in 1st place and Bishop Lynch in 2nd at 10-2. 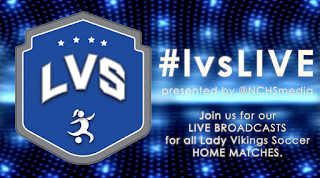 Mondays match against TCA will be broadcast LIVE again during #lvsLIVE presented by @NCHSmedia. CLICK HERE to tune in. Wednesday is National Signing Day and our very own, Regan Hafer will be signing her National Letter of Intent to play college soccer at Christian Brothers University in Memphis. The press conference will be held on Wednesday in the Arena at 2:30pm. 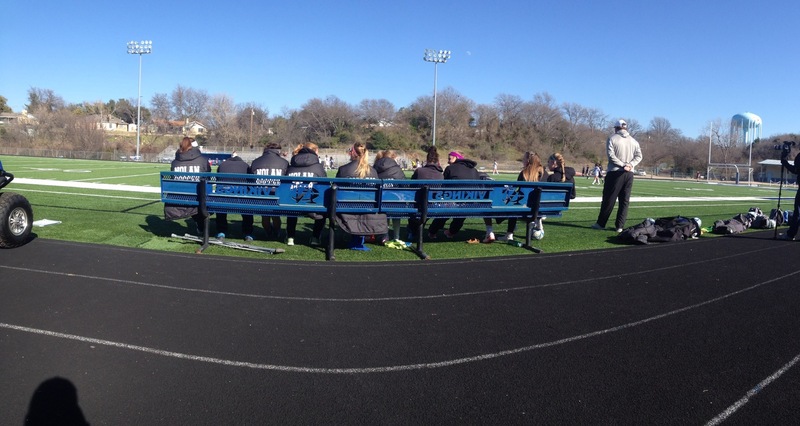 The Lady Vikings fall at home to Bishop Lynch by a score of 3-0. The game was end to end in the opening half of play with Lynch coming away with the opening score. The possession was a bit in favor of the Lady Vikings as they were able to find their way in behind the Lady Friar line but were not able to capitalize. In the last few seconds of the half, Hannah Allred blasted a shot that the Lynch goalkeeper turned away. "It would have a been a bit different halftime talk if we could have equalized there," said LVS head coach, Jay Fitzgerald. The second half was more Lynch as they were able to put 2 more past the Lady Vikings. The Lady Friars move to 10-2 in district as the Lady Vikings drop to 10-3. Fitzgerald continued, "It is a tight district race with a lot of soccer left to play but tonight is on me, I let our players down and I have to be better. We have a great team." TCA comes to Doskocil on Monday night as the district season continues. Kick-off is at 6:00pm. 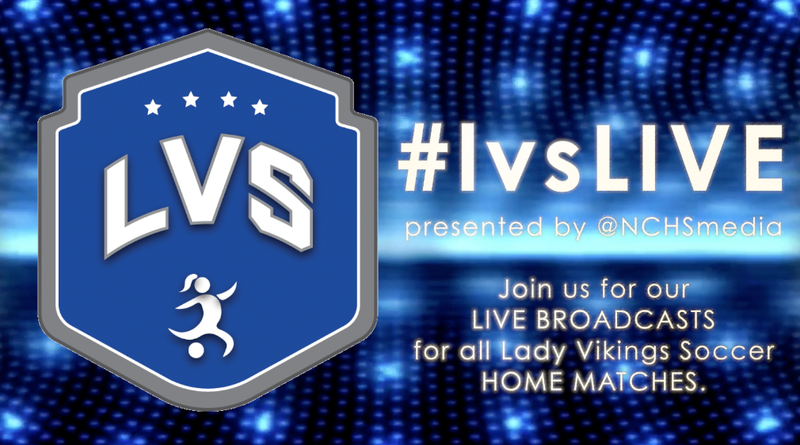 It is another #lvsGameDay as the Lady Vikings play host to Bishop Lynch in a double header with the JV kicking the night off at 6:00pm. As the district season winds down, the JV and Varsity teams look to secure their spots in the post-season. The JV play in the TAPPS 1-5A Playoffs on February 11th hosted by Nolan Catholic. Seeds 1 & 4 will play at 9:00am as seeds 2 & 3 play after at 11:00am with the championship game at 3:00pm. 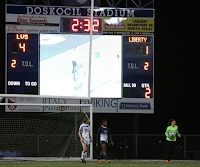 Ursuline defeated the Lady Vikings in the second overtime in last years championship match 2-1. The varsity team sits at 10-2 in district and 17-7-2 overall with 4 games remaining. Our #lvsLIVE presentation continues tonight. Tune in for pre-game at 7:30pm for match highlights from earlier games. Kick off is at 7:45pm. CLICK HERE to watch. Just 13 of the 23 members of the USA's 2015 Women's World Cup championship team were named to the roster for Olympic qualifying, signaling big changes on the national team. Retirements (Abby Wambach, Lauren Holiday, Lori Chalupny andShannon Boxx), injuries (Christie Rampone and Megan Rapinoe) and pregnancies (Amy Rodriguez and Sydney Leroux) account for eight of the world champions who are missing, but Coach Jill Ellis also did not select veterans Whitney Engen and Heather O'Reilly. Ellis has made room for a talented group of young players, none older than 23, who won roster spots. Indeed, two of the new guard,Crystal Dunn and Lindsey Horan, could start in Olympic qualifying, which will take place Feb. 10-21 in Frisco and Houston, Texas. JAELENE HINKLE (22). What is it about Colorado girls soccer? 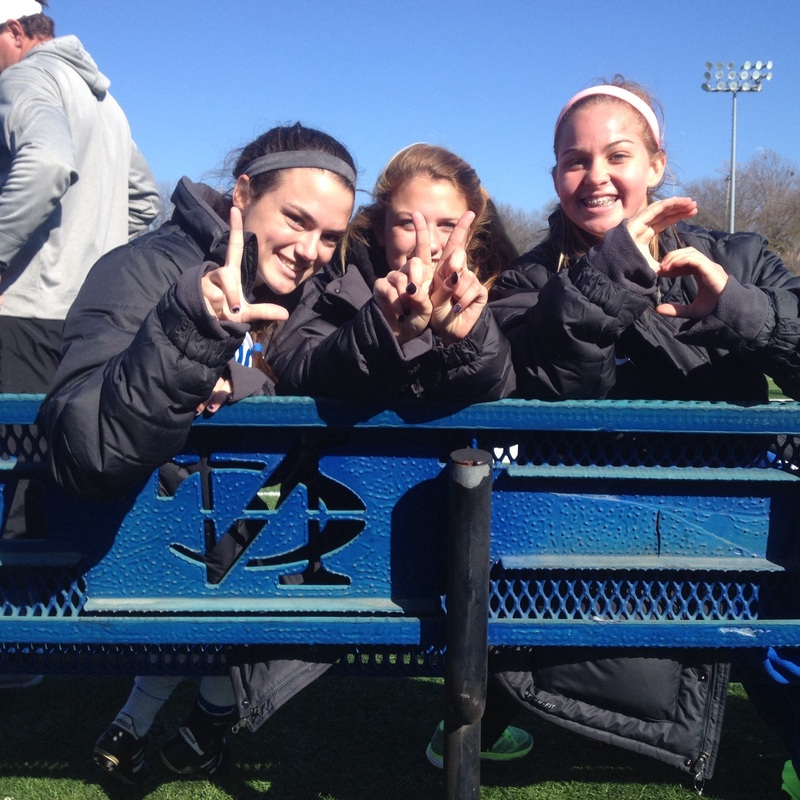 Mallory Pugh, Horan and Hinkle all hail from Colorado -- Horan from Rush and Pugh and Hinkle from Real Colorado. Hinkle starred at Texas Tech and was taken with the No. 7 pick by the Western New York Flash in the 2015 NWSL College Draft and started all 20 games. She's probably the least heralded of the newcomers on the national team, but she impressed during the Victory Tour with her play at outside back, where she will be No. 4 on the depth chart behind Ali Krieger, Klingenberg and Kelley O'Hara. LINDSEY HORAN (21). Horan made history when she signed with French club Paris St. Germain out of high school in Colorado, spurning a full ride from North Carolina. Injuries slowed her down in 2014-15 and she decided to leave PSG after the fall campaign for the Portland Thorns of the NWSL. A move back home to play regularly on the national team was likely going to be the only way she'd nail down a spot. Horan, only 21, mostly played up front in France but has settled in as a starter for the national team in midfield, in the role Holiday played at the 2015 Women's World Cup. STEPHANIE McCAFFREY (22). The Boston College product is a beneficiary of the under-23 national team, getting international experience she lacked during her youth days. She was born and raised in Winchester, Massachusetts, and played for the Stars of Massachusetts. A trade in the middle of the 2015 NWSL College Draft kept her close to home as she joined the Boston Breakers. Despite the Breakers' last-place season, McCaffrey earned a call-up to the national team in the fall and scored in her debut against Brazil in October. She was considered a long shot to make the qualifying roster but probably benefited from Leroux's surprise announcement that she was pregnant. SAM MEWIS (23). Mewis got her first chance to train with the national team in January 2014. Among her teammates was older sister Kristie, who plays for the Boston Breakers. They grew up in nearby Hanson, Massachusetts, and starred for local youth club Scorpions FC. While Kristie stayed close to home, attending Boston College, Sam went to UCLA and was part of the great Bruin team that won the national title in 2013. A year before, she had played on the U.S. U-20 Women's World Cup championship team with current U.S. teammates Morgan Brian, Julie Johnston and Dunn. Mewis was the third of three UCLA players taken 2-3-4 in the 2015 NWSL College Draft behind Brian and signed with the Flash. MALLORY PUGH (17). Pugh scored in her debut for the USA on Saturday in the 5-0 win over Ireland and showed why she has been tipped by coaches as the best player to come along since Mia Hamm. Heady stuff for a 17-year-old who is a senior at Mountain Vista High School. U.S. Soccer's 2015 Young Player of the Year was attending her first senior national team camp after leading the USA to the Concacaf U-20 women's title in December. (She's still eligible for the 2016 and 2018 U-20 Women's World Cups.) 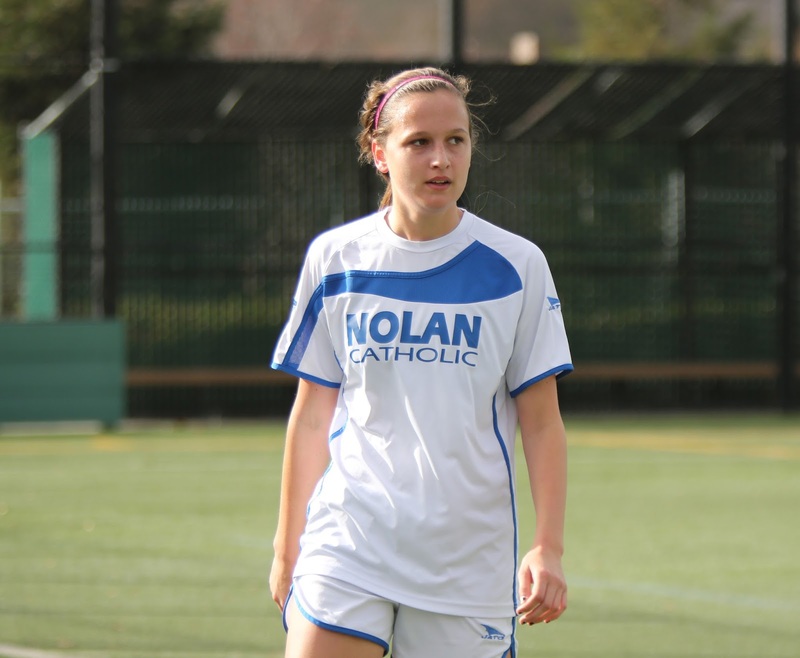 Her father recently debunked rumors that she would forego a scholarship to UCLA to turn pro with the Thorns. A 4-1 win tonight moves the Lady Vikings to 10-2 in district and 17-7-2 overall on the season. Both teams finished the half without a goal but in the second half their were 5 goals scored and the Lady Vikings had 4 of them. In the 47th minute Kate Klesier sent a nicely placed corner kick to the head of Hannah Allred for the 1-0 lead. The Lady Warriors answered 3 minutes later but in the 51st, 53rd, and 68th minutes the Lady Vikings had all the answers. Kleiser and Allred combined again off another corner kick, then Mikaela Gamboa doubled the Lady Vikings lead off a whipped in ball across the face of the goal for her 10th goal of the season. Allred put the exclamation point on the game for the 4-1 lead from Gamboa. That final goal was the 24th of the season for Allred and the 10th assist for Gamboa. Klesier added her 13th and 14th helpers tonight and Bettinger added her 8th assist of the year. 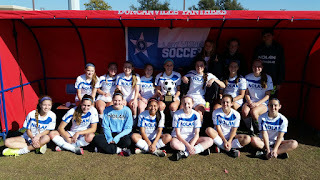 "Everyone contributes on this team.. love this group to death," said LVS head coach, Jay Fitzgerald. The Lady Vikings remain at home on Thursday night as they host Bishop Lynch at 6:00pm and 7:45pm. CHICAGO (Jan. 26, 2016) - U.S. Women's National Team head coach Jill Ellis named the 20 players who will represent the USA at the 2016 CONCACAF Women's Olympic Qualifying Championship running from Feb. 10-21 in Frisco and Houston, Texas. The USA opens the tournament on Wednesday, Feb. 10 against Costa Rica (7:30 p.m. CT). After opening Group A play against the Ticas, the USA continues first round action against Mexico on Saturday, Feb. 13 (3 p.m. CT), and finishes group play against Puerto Rico on Monday, Feb. 15 (7:30 p.m. CT). 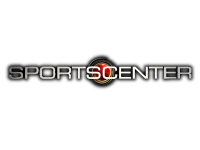 Broadcast information for the tournament will be announced at a later date. The two venues for the competition are BBVA Compass Stadium, home to the Houston Dash of the NWSL and the Houston Dynamo of MLS, and Toyota Stadium, located in the Dallas suburb of Frisco and home to FC Dallas of MLS. The round-robin stage of the tournament will be conducted with three doubleheaders in each group. Group A will play doubleheaders at Toyota Stadium on Feb. 10, 13 and 15 and Group B - which features Canada, Guatemala, Trinidad & Tobago and Guyana - will play doubleheaders at BBVA Compass Stadium on Feb. 11, 14 and 16. The all-important semifinal matches will be held on Feb. 19 in Houston, with the winners qualifying for the 2016 Olympics in Brazil. The championship game on Feb. 21 will also be in Houston. All 20 players selected were a part of the USA's 26-player roster for January training camp that ended with a 5-0 victory against Ireland on Jan. 23 in San Diego. The roster features three goalkeepers (a requirement by tournament regulations) and 17 field players, which includes seven defenders, five midfielders and five forwards, although many players on the roster can play more than one position. Thirteen of the 20 players chosen by Ellis were on the USA's 2015 FIFA Women's World Cup championship team and just seven players were on the USA's roster for 2012 Olympic qualifying: goalkeeper Hope Solo, defenders Becky Sauerbrunn, Kelley O'Hara and Ali Krieger, midfielders Carli Lloyd and Tobin Heath and forward Alex Morgan. Solo, Heath and Lloyd are the only players on the roster who also participated in qualifying for the 2008 Olympics. "This was an exceptionally challenging roster to select," said Ellis. "The players all worked and competed very hard in the January camp and that made the final decisions extremely difficult. With only 17 field players allowed on the roster, and minimal time in between matches, I think we have one of the most versatile rosters ever for a qualifying tournament. Most of the field players are capable of playing at least two positions and as CONCACAF competitions generally present teams that will sit low and get numbers behind the ball, it is important to have players that can individually and collectively break teams down to create chances." The U.S. will attempt to qualify for a sixth consecutive Olympic Games and win the CONCACAF Women's Olympic Qualifying event for the fourth consecutive time. In 2012, the USA won the Olympic Qualifying tournament in Vancouver, B.C. (at the same stadium where it would win the Women's World Cup three years later) and then went on to win the gold medal in London. In 2008, the USA won the Olympic Qualifying Tournament in Mexico and went on to win gold in Beijing. In 2004, the U.S. won the tournament in Costa Rica and went on to win gold in Athens, Greece. The U.S. qualified for the 1996 Atlanta Games as host and for the 2000 Sydney Games as a top-seven finisher at the 1999 FIFA Women's World Cup. Seven teams have already qualified for the 12-team Olympic Football Tournament: Brazil and Colombia from South America, France and Germany from Europe by virtue of their finish at the 2015 Women's World Cup, New Zealand from Oceania due to Papua New Guinea pulling out of the second leg of qualifying, and South Africa and Zimbabwe from Africa. Two teams will qualify from CONCACAF, Africa and Asia and one more will qualify from Europe after a mini-tournament in March featuring Sweden, Netherlands, Norway and Switzerland. • Carli Lloyd has the most Olympic qualifying appearances or anyone on the roster, playing in nine games (2008 & 2012) while scoring eight goals. Solo has played in eight Olympic qualifying matches (2008 & 2012). • For the 2012 Olympic qualifying roster, 19 of the 20 players were on the 2011 Women's World Cup Team. • Eight of the players named to the roster have eight caps or less. • Seventeen-year-old forward Mallory Pugh will be playing in her second CONCACAF qualifying tournament in a three-month span. She also captained the USA to the title at the CONCACAF U-20 Women's Championship in early December in Honduras, earning a berth to the 2016 FIFA U-20 Women's World Cup at the end of the year in Papua New Guinea. • Pugh is the youngest player ever named to a U.S. Olympic qualifying roster. • The USA has never lost a match in Olympic qualifying, but tied Canada 1-1 in the title game of the 2008 tournament before prevailing in penalty kicks. The Lady Vikings continue district play tonight as they host Liberty Christian at 6:00pm at Doskocil Stadium. With an overall record of 16-7-2 and a 9-2 district mark, they finish the regular season with 4 of their last 5 games at home. "It is tough when you have to start the season with the majority of the games on the road but the nice thing is when you take care of those games, the home stand at the end is great for us and the fans," said LVS head coach, Jay Fitzgerald, who goes for his 300th victory tonight, all with Nolan Catholic. Fitzgerald received his 100th win during the 2003-2004 season against Bishop Lynch and #200 vs San Antonio Antonian in the State Semi-Final during the 2008-2009 season. Coming off the heals of a back to back championship win at the Duncanville Kick-Off Classic, ending their tournament season, the Lady Vikings are excited to return home. The last 5 games saw the Lady Vikings win 2 district games and 3 tournament wins over Bishop Dunne, Prestonwood, Duncanville, Abilene, and Bastrop. The show continues tonight, come out and support your Lady Vikings. The Lady Vikings have done it again. WIN! The Bastrop Bears took on a determined Nolan Catholic team today and were overwhelmed. 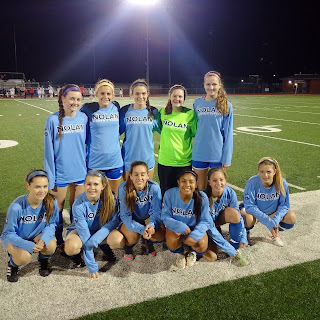 With a goal in each half, Hannah Allred scored all the Lady Vikings would need in route to a 2-0 Championship win in the Duncanville Kick-Off Classic. 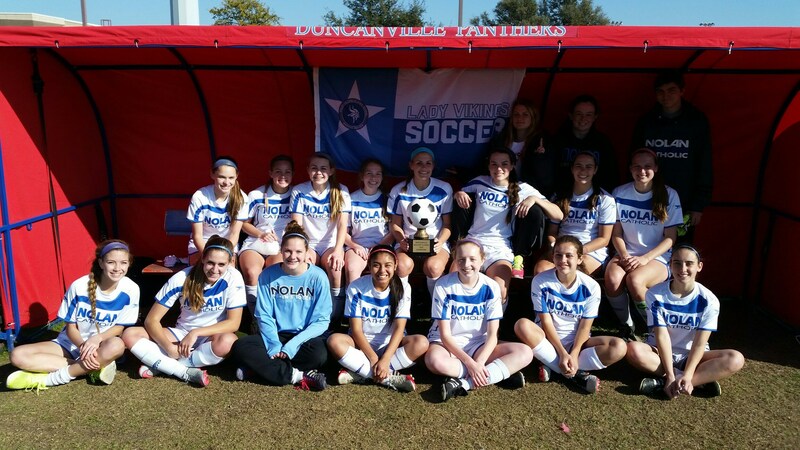 Last year, Duncanville fell victim to LVS in the championship match. 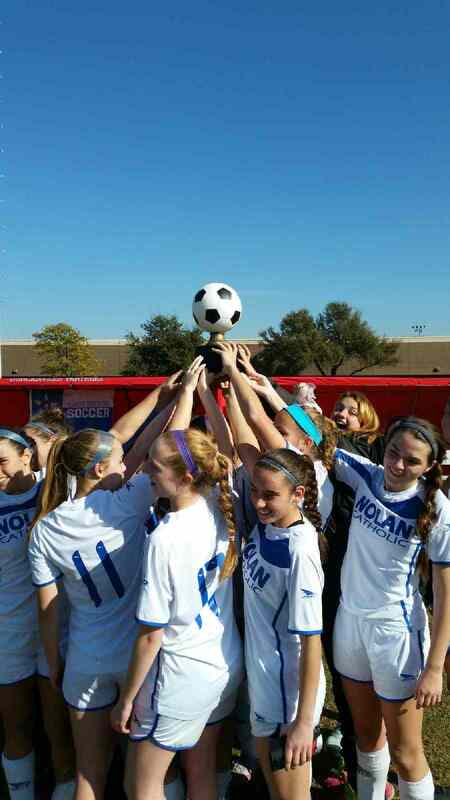 Duncanville, Abilene, and Bastrop were outscored 8-2 this weekend and the Lady Vikings are Back to Back Champions. Allee Kimmey and Kate Kleiser had the assists on the Allred goals. District play continues on Tuesday and Thursday of this week, both at home. The Lady Vikings take their 16-7-2 overall record into the next week looking to improve on their 9-2 TAPPS 1-5A mark. The varsity look to defend their championship from last year as they defeat Abilene in the Semi-Final today by a score of 4-1. The Lady Vikings gave up the games first goal in the 5th minute but quickly gained a 3 goal advantage on 4 unanswered goals to improve to 15-7-2 on the season. Jordan Hisel equalized in the 8th minute off an assist from Kate Kleiser and then 5 minutes after Brennan Flynn put the Lady Vikings on top for good with her first game-winning goal of the season. Flynn ended up scoring again but not before Selena Guzman got herself another goal for her 5th on the year. "We got punched in the mouth in the first 5 minutes and then protected the ball the rest of the game... our composure, patience, and technical ability was flawless and the 4 goals we top class," said LVS head coach, Jay Fitzgerald. On to the Championship game tomorrow at 1:00pm at Old Panther Stadium against Bastrop. The JV are in the Northwest ISD Invitational and dropped an incredibly hard fought game against Coppell today by a score of 1-0. They will take on Byron Nelson at 9:00am tomorrow and then again at 1:40pm against Keller Timber Creek. The Lady Vikings returned to the Duncanville Kick-Off Classic today against host Duncanville and came away with a 2-1 win with goals by Hannah Allred and Megan Bettinger. Recap coming soon. The JV travel to Northwest High School tomorrow to play in the Northwest ISD Invitational. Due to wind and cold the morning games at 10:00am and 11:10am have been CANCELLED. The JV will NOT play Keller in the morning game and will just play Coppell at 2:40pm at Texan Stadium on the campus if Northwest High School. The bus will leave from Nolan at 12:30pm. The Saturday games remain the same. The Lady Vikings finish their 2 match homestead tonight hosting Plano Prestonwood, coming away with another win to move to 9-2 in district play. A shutout win last night and another one tonight. Mikaela Gamboa scored the games first goal on a sliding effort to the back post in the 11th minute of play. That goal proved to be the only goal the Lady Vikings would need as they were rock solid defensively and did not concede. Gamboa's goal, her 9th of the year turned out to be her 4th game-winning goal of the season. Hannah Allred continued the scoring for Nolan Catholic and then Selena Guzman put the exclamation mark on the game with 2 goals of her own. Allred had 2 assists and Brennan Flynn and Madeline Wiche each had one a piece. "The game really opened up for us tonight and our players deserve all the credit as they have been very efficient as of late. We were very good on both sides of the ball tonight and the players saw the game very well; we saw some flare out of our group tonight, "said LVS head coach, Jay Fitzgerald. Thirteen wins on the year for the Lady Vikings with 9 of those wins in district. The Duncanville Kick-Off Classic is next for the varsity which starts on Thursday and for the JV, the Northwest ISD Invitational starts on Friday. This will complete the tournament season for both teams as they prepare to taper off, finish district season, and prepare for the post-season. Thank you to @NCHSmedia for the wonderful #lvsLIVE broadcast and for the Norseman and all the fans that came out tonight and supported Lady Vikings Soccer. 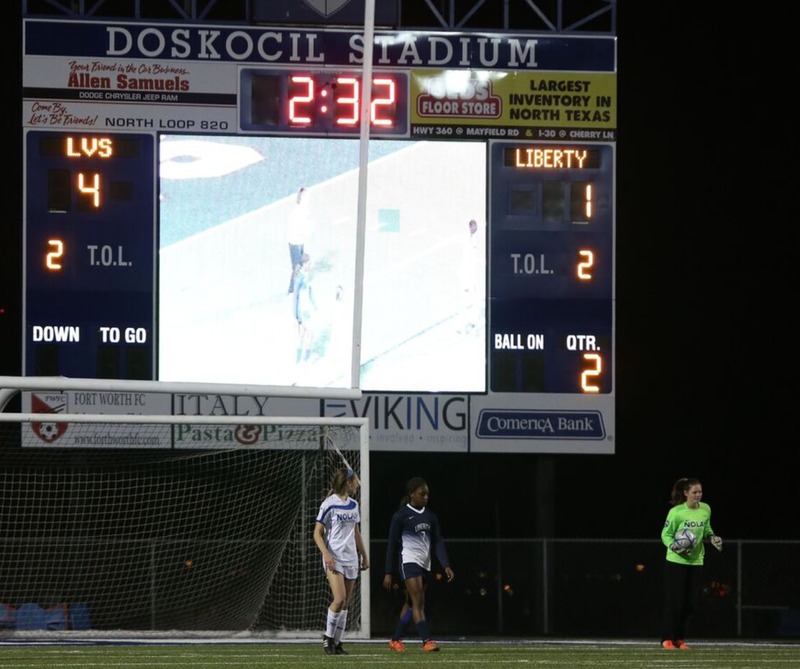 The Lady Vikings continue district play tonight against Prestonwood Christian at Doskocil Stadium. The match is set to kick-off at 6:00pm. Come out and support your Lady Vikes. 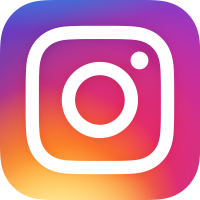 Follow Us on twitter, instagram, and periscope @nolansoccer and see our stories on SnapChat @nolanLVS. 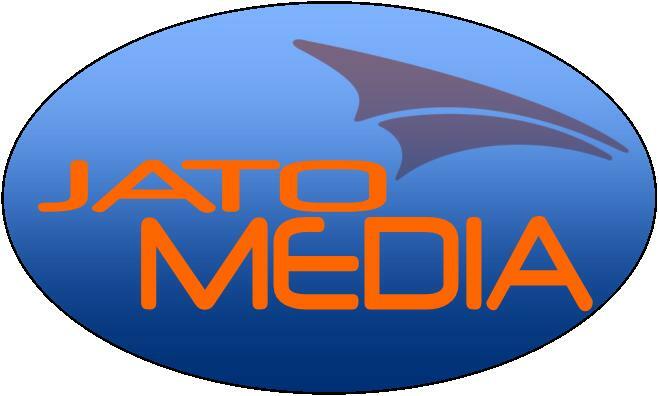 Also FOLLOW our media department on twitter @NCHSmedia headed up by John Skees. The Lady Vikings return to district play in good fashion scoring a dozen goals in route to a 12-0 TAPPS 1-5A win over Bishop Dunne. Megan Bettinger started the scoring off for the Lady Vikings off a nicely timed through ball from Kate Kleiser. Bettinger scored 2 more goals on the day. Kleiser impressed on the day with 2 goals of her own and 3 assists. Hannah Allred scored 2 as well with her first on off a Maddie Caffey pass. Brennan Flynn, Selena Guzman, Alyssa Clinkscales, Mikaela Gamboa, and Meghan Kittleson each added a goal a piece. Jordan Hisel has come on strong playing in a variety of roles in the past couple weeks but today, she had 3 assists along with Gamboa. Head coach, Jay Fitzgerald said, "We scored from a lot of different areas with 8 different players scoring. It was nice to see a couple other players like Maddie Caffey and Jordan Hisel join in the attack creating opportunities." The Lady Vikings improve to 8-2 in district play and 12-6-2 overall. They remain at home tomorrow night hosting another district opponent, Plano Prestonwood. That game is a varsity only game as PCA does not have a JV. The match is scheduled to kick off at 6:00pm. Meanwhile the JV prepare for the Northwest ISD JV Invitational starting on Friday while the varsity looks to defend its Duncanville Kick-Off Classic Championship starting on Thursday. The Lady Vikings have played the #1, #8, #13, #20, & #34 teams in the land and tonight they took on the #5 team, Coppell, the defending UIL 6A State Champs. On 2 out of 3 corners in the first half, Coppell midfielder, Shay Johnson struck to give the Cowgirls all they needed to shutout the Lady Vikings, 2-0. The first half saw the majority of the play in the Lady Vikings half, aside from a couple counter attacks. The second half was a bit different but the stubborn and solid Cowgirl defense didn't allow much breathing room. The Lady Vikings mounted several opportunities but were not able to cut the lead in half and were shutout only for the 4th time all year. "We gave up a couple free opportunities in the first half but were able to get a decent rhythm the second half but our half chances need to be more dangerous. 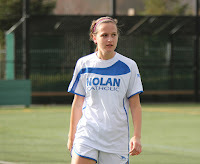 We were a different team in the second half and a lot of players stepped up, " said LVS head coach, Jay Fitzgerald. The Lady Vikings drop to 11-6-2 on the season going into the final match of the Allison Horn Memorial, tomorrow against the Lady Indians of Keller High School at 11:00am at Colleyville Heritage High School. The JV take their 7-0 Bear Cave Classic opening win to the test against Cedar Hill for an opportunity to play in the championship game tomorrow afternoon at 3:00pm at Brewer High School. Their first match of the day will be at 9:00am. 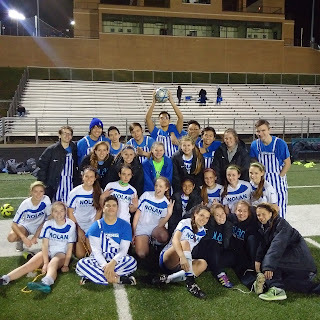 The Lady Vikings played to a scoreless draw last night against UIL 5A powerhouse, Denton Guyer. The game was mostly played in the midfield with both teams playing quality defense to keep each other off the scoreboard. 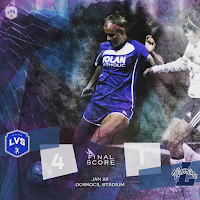 "We talked about our midfield play and how that was a focus; we achieved a good bit of success in the middle of the park tonight," said LVS head coach Jay Fitzgerald. The backline for the lady Vikings led by senior, centerback, Regan Hafer was quality all night along with solid goalkeeping by Sarah Becan. The Lady Vikings improve to 11-5-2 on the season and look to better that mark tonight as they take on Coppell, the defending 6A UIL State Champions. That game will kick off at 8:00pm at Colleyville Heritage High School. With their 4 points, the Lady Vikings are 2nd in their group with their shutout last night. The Lady Vikings JV squad returned to the Bear Cave Classic hosted by Brewer High School and started right were they left off. If was a GoalFest for the Lady Vikings against Boswell in last nights match. Emma Hernandez got the Lady Vikings on the board with an unassisted goal and then again to make it 2-0 LVS, but this time Lauren Bettinger had the helper. Weslee Feemster got 2 goals of her own, the first one assisted by Anna Keller and the second one all on her own. 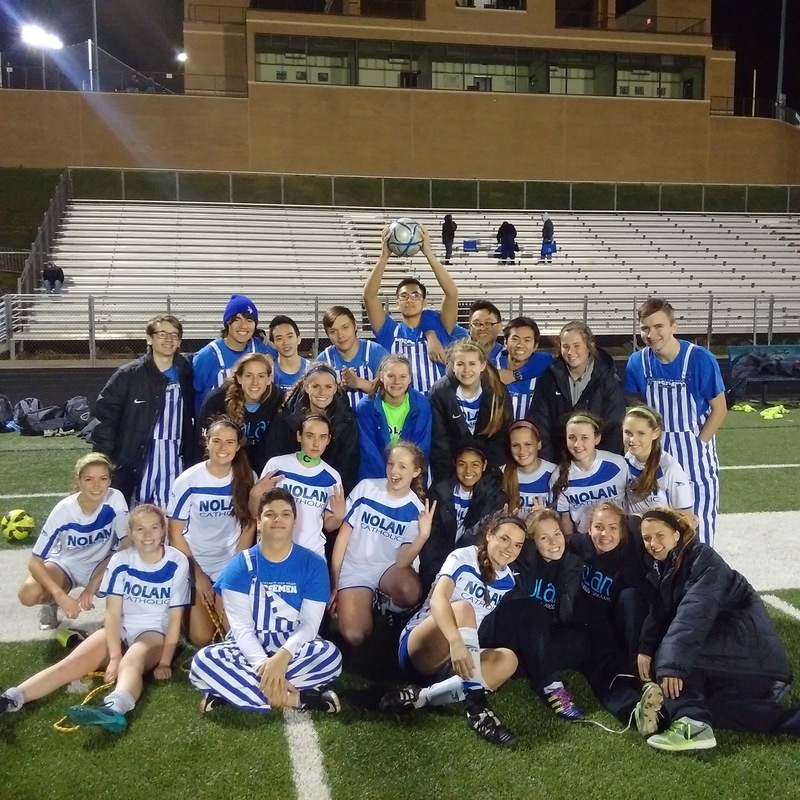 Keller scored the games 4th goal before Lyssa Cedeno and Jenna Draude capped off the 7-0 night. Bettinger got the assist on the Cedeno goal and Koryn Brookshire the assist on the Draude goal. The Lady Vikings improve to 3-4-2 on the season and will continue play in the Bear Cave Classic tomorrow morning at 9:00am against Cedar Hill at Brewer High School #4. If they win their bracket they will play for their Back to Back title at 3:00pm. FORT WORTH, Texas -- Southlake Carroll (Southlake, Texas) defended its No. 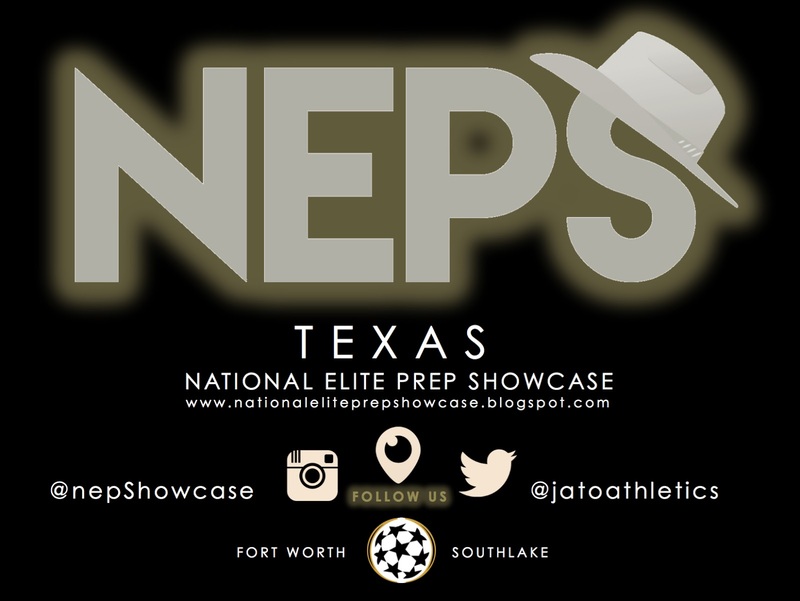 1 position, youthful Marcus (Flower Mound, Texas) showed it might be a force this season, and Texas, in general, made quite a statement at the National Elite Prep Showcase over the weekend. Eight teams -- all from Texas -- went undefeated while visitors from California and Florida were held to a combined losing record for the first time at the 34-team girls soccer showcase. 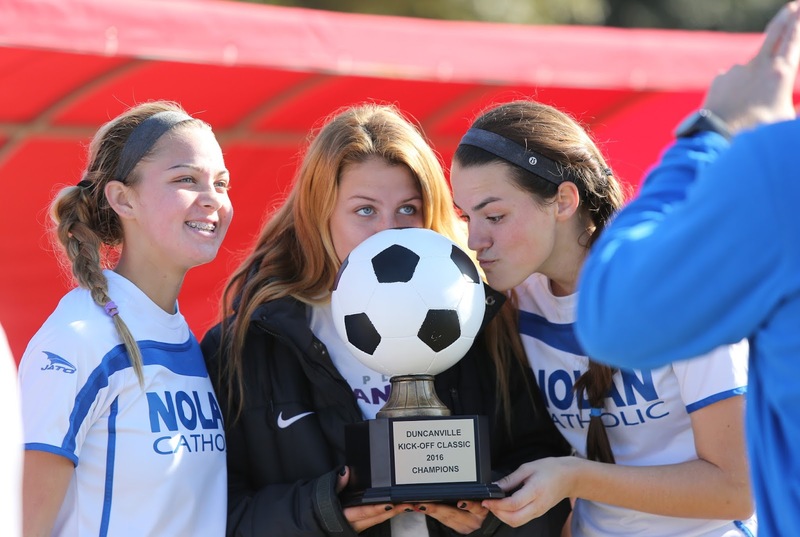 The annual NEPS All-Tournament team is selected through a combination of of staff evalustions and votes from coaches of the participating schools. Jordan Harr, who suffered a season-ending injury in the closing minues of the final match Saturday was a runner-up winner for MVP. The Texas Tech-bound superstar scored six goals and assisted on two others to lead Sachse (Sachse, Texas) to a 3-0-1 showing. Harr's high school coach confirmed that Harr broken an ankle in four places during a play late in the final match. Harr is expected to be sidelined for four months. 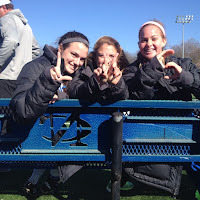 Goalkeepers: Paige Vincent, San Angelo Central (Texas), Margaret Weber, Coppell (Texas). Defenders: Grace Dunker, Southlake Carroll (Texas), Mari Gillespie, Kingwood (Texas), Aliyah Marsh, San Angelo Central (Texas), Jessie Roux, Santa Margarita (Calif.), Sofi Salonen, Montverde Academy (Fla.), Kirsten Siragusa, Sachse (Texas), Darci Wilson, San Angelo Central (Texas). 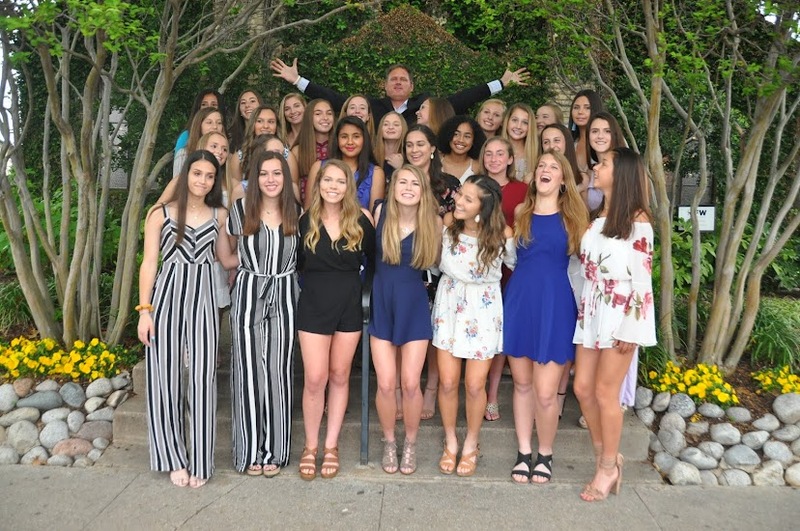 Midfielders: Madison Conte, Midlothian (Texas), Alyssa D’Aloise, Ursuline Academy (Texas), Gabriella Duca, Hebron (Texas), Madison Ellis, Keller (Texas), Katie Hemperly, Marcus (Texas), Ashlan Hustava, Flower Mound (Texas), Taylor Jordan, McKinney Boyd (Texas), Neaka Khalilian, Southlake Carroll (Texas), Kate Luby, Plano West (Texas), Riley Mattingly, Marcus (Texas), Kristen Meadows, McKinney Boyd (Texas), Ariana Miles, Harvard-Westlake (Calif.), Haley Riley, Arlington Martin (Texas), Andrea Rodriguez-Flores, Montverde Academy (Fla.), Tyler Runnels, Coppell (Texas), Jasmine Spence, Montverde Academy (Fla.), Katina Tsapos, Byron Nelson (Texas). Forwards: Erian Brown, Coppell (Texas), Katy Brown, Marcus (Texas), Elli Brunts, Ursuline Academy (Texas), Grace Cory, Southlake Carroll (Texas), Cailee Dennis, Hebron (Texas), Ariel Diaz, Monterey (Texas), Stefani Doyle, Hebron (Texas), Sydney Nobles, Southlake Carroll (Texas), Ariana Owens, Round Rock (Texas), Elena Reyna, Flower Mound (Texas), Delanie Sheehan, Liberty (Calif.), Madalyn Turlington, Byron Nelson (Texas), A.K. Ward, Keller (Texas).